History: Tinay was an ordinary country girl when a mysterious shining orb fell from the sky. 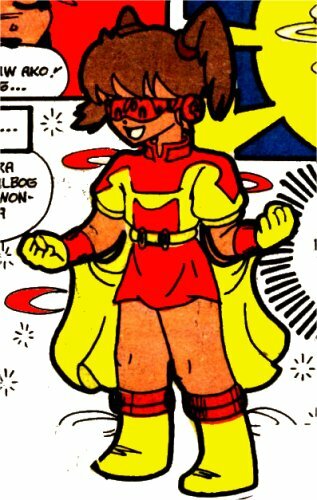 The orb gave her powers and a costume and named her Tinay Pinay. Thanks to Dan Ramon P. Geromo for information and images, and to Jocelmond Tome for additional information.